A Dymocks literary luncheon with Alexander McCall Smith. 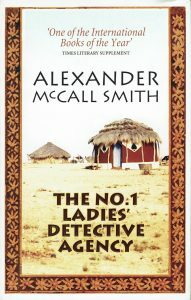 Alexander McCall Smith is the author of over one hundred books on a wide array of subjects, including the award-winning The No.1 Ladies’ Detective Agency series. 2018 marks the 20th anniversary of The No 1 Ladies’ Detective Agency. He is also the author of the Isabel Dalhousie novels and the world’s longest-running serial novel, 44 Scotland Street. His latest books are The House of Unexpected Sisters (book 18 in the No 1 Ladies Detective Agency series), A Time of Love and Tartan ( book 12 in the 44 Scotland Street series), The Good Pilot Peter Woodhouse and his children’s book The Race to Kangaroo Cliff. Alexander has delighted and charmed our audiences in the past, so book early to avoid disappointment. Please note that this event is run by Dymocks and the Alexander McCall Smith web team have no control over content or delivery.